Selling shoes online can be really difficult. One of my customers was telling me recently that shoe size differs so much between make and style, that it can be really hit and miss to sell successfully on eBay. This is a particular issue with fashion shoes which are more about style than substance quite often, and the peculiar shaping of fashion shoes often means that things pinch and rub where you would prefer them not to. For some strange reason many women don’t mind putting up with this! It all dates back to Cinderella and her ugly sisters I think. In some versions of that fairy story, one of the ugly sisters chops her toe off with an axe so that the slipper will fit and she can marry the Prince. Seriously, no man is worth disfigured feet! But, my sympathies, it will be just your bad luck as a seller to attract the women who do want shoe perfection and are particularly concerned about getting the right shoe size. The buyer finds that they order the shoe size they always wear but for some reason the shoes don’t fit. It may be an issue with the length or it may be the width. It can be the width at the toe of the shoe or across the arch, instep or heel. If a buyer has really narrow or really wide feet then they will struggle to find the right shoe size. They’ll buy from you and try them at home and send them back – and that whole process is costing you money. 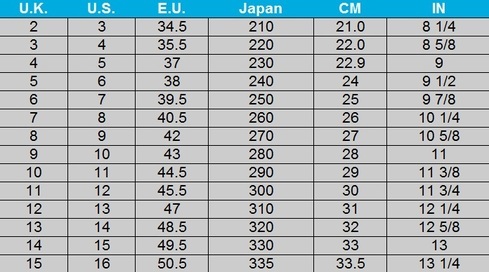 The thing is that many companies have different standards for sizing, and you’ll be getting your supplies from a variety of suppliers, so although there are international standards not everyone is going to meet them. 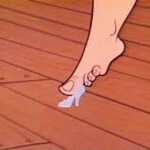 Now shoe size shaping and fitting is a little subjective anyway because everybody’s feet will vary in size and shape. The size of your feet varies over time – you’ll lose and gain weight, carry more fluid, become pregnant, carry injuries that change the way you walk and therefore the size of your feet and so on. If you are planning on selling shoes on eBay it really won’t pay to simply say “This is a size 6 because it says so on the label”. No way Hose! There is an answer to this but it will involve you doing a lot of pre-planning and getting organised. What’s the answer? List the specific details for every shoe you sell. I know – it makes your blood run cold doesn’t it? Sorry about that. Get your tape measure out and look at a shoe. Measure front to back. 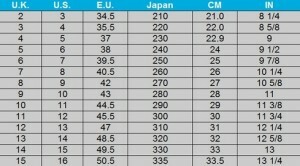 If it’s a standard sizing it will correlate to the international standard lengths on this chart. Then start measuring the widths – and I do mean width with a plural. •	Measure at the point across the tops of the toes where they meet the foot. •	Measure across the arch. •	Measure at the narrowest point. This may be the toe area if it’s a pointed toe. Now when you list your shoe – point out what these measurements are in black and white for each size. 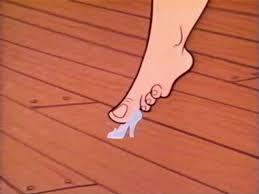 Be quite plain in your description that the shoes are narrow or wide, if you think that’s the case. If you don’t know and you’re a man, ask a woman – most of them will be able to set you straight. But ideally it is important that you do know these things if you’re selling shoes. Take the time to find out and learn. It’ll save you money in the long run. Also point out to the buyer in your description where the shoes are made. Shoes that are a UK size 6 but made in China may well be extremely narrow, because Chinese women are very small and slender and the shoe size will be based on them. Tell your buyer this stuff in your description! They probably know this, but it’s all about their perception of their size and how good they think they will look in these shoes. They will be blinded by the look of the shoe. Ask the buyer to check their shoe size against your measurements and if they feel that they will struggle getting into the shoes they should buy a size up or a wider shoe. •	Stand on a sheet of plain A4. •	Trace around your stocking feet (or wear socks if you would normally do so) with a pencil or pen. •	Measure the length and width of the outline of BOTH FEET. •	Subtract 0.20 to 0.25 inches or about 0.50 centimetres to account for the pencil/pen. •	If one foot is longer than the other, they buyer should order a pair of shoes in the larger of the two sizes and use self-adhesive pads attached to the heel of the shoe of the smaller foot to keep it from slipping around. 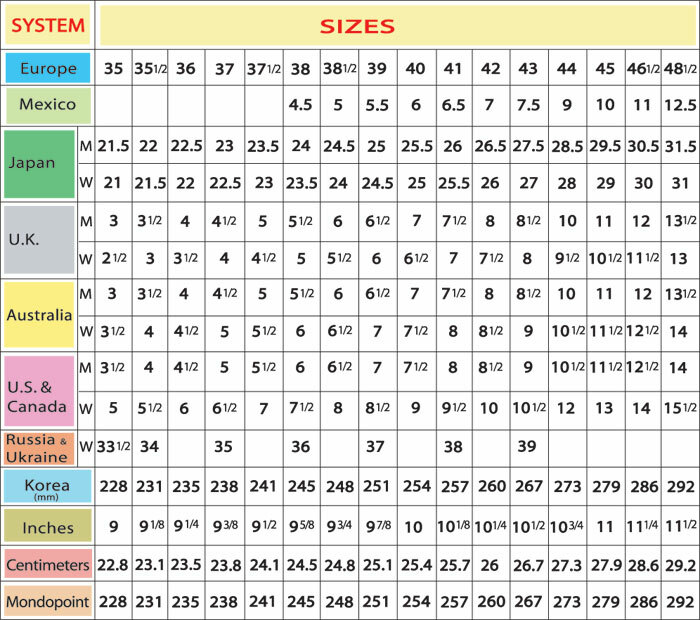 Once they have these measurements ask them to compare the sizing to your sizes as stated on the listing. Don’t forget the instep measurements! These are important. Remind them that they should always have room to wiggle their toes, and shoes shouldn’t slip off the heel when they walk. Their heel shouldn’t hang off the back of sandals or slingbacks. Yuck! Not a class act! The onus is always going to be on you as a seller, and let’s face it, some buyers are completely deluded about their own clothes and shoe sizes, but if you are clear in the description that the shoes are narrow or wide and the seller would benefit from checking their measurements, you are doing as much as you can do.